Matt Groening – who once stated “Zappa is my Elvis” – discusses the major influences in his life and work in this 3 part documentary (part 2 focuses on Zappa’s influence on his life and work). – To cause an emulation among its members in order to create Labostrophe‘s own projects. 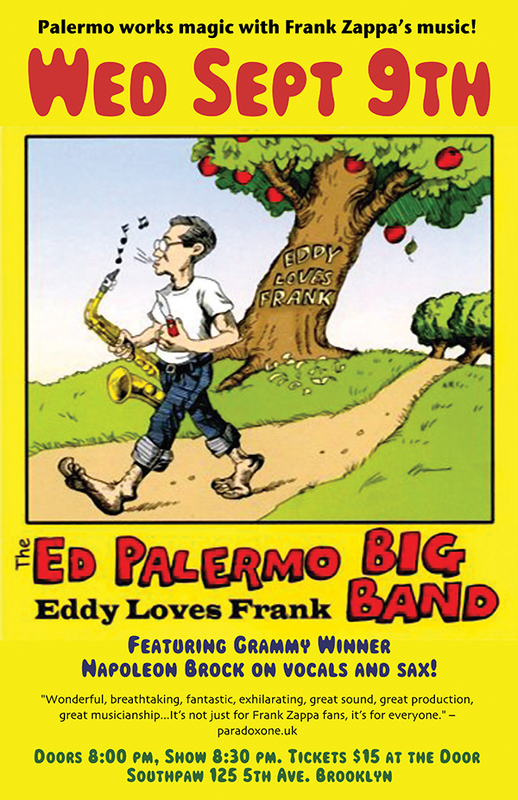 If you are a fan of Ed Palermo‘s arrangements of Frank Zappa‘s compositions, and if you are in the New York area on Wednesday, September 9th, 2009, join Ed Palermo and his special guest, Napoleon Murphy Brock (on vocals and sax) at the Southpaw. Alas, I’ve saved the best for last. “Musicians Play FZ – Part II“, a compilation of FZ songs performed by various musicians, from Sting to The Persuasions and many in between (plucked from my own collection). Enjoy this mix for the next two weeks, at which time the “Son of Tweezer Glint” series will resume. Note: if we are infringing on anyone’s copyright, contact KUR and we’ll remove the offending material. Capt. CHEESE-BEARD & The 7 Sisters Of Prevention will be performing two hours of “Live” Zappa music on Friday, September 18th, 2009, starting at 8:30 PM, at Indigo Studios, a new venue in Brussels, Belgium, close to the old Wielemans Cuppens brewery. Back before video rentals became big business with the opening of the first Blockbuster Video store in Dallas in 1985, people went out to theaters for much of their entertainment. Beginning today and continuing every two weeks until the first week of November, I bring you the following six part KUR Mix: The Son of Tweezer Glint. The Son of Tweezer Glint is made up of proto versions of FZ and MOI songs, notable versions, alternate versions, extended versions, original versions, unique live versions, cover versions, acetates, demos, and 45’s. The first installment of the series, “Son of Tweezer Glint – Part 1-A“, will be up for the next two weeks for your listening pleasure. 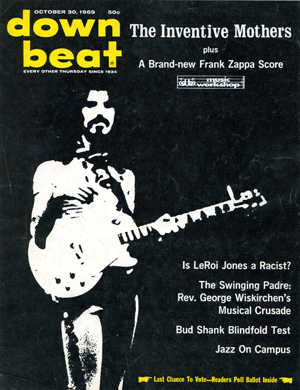 MTV News At Night (MTV ENGLAND) interviews Jimmy Carl Black and biographer MIchael Gray in this 9 minute, December, 1993 overview of Frank Zappa‘s life, works, and attitudes. Recorded at the Palladium in New York City on October 29th, 1977, Frank Zappa tells the story behind “Bobby Brown (Goes Down)“, one of his most famous songs which topped the charts in some European countries around 1979/80. Thanks to ‘YourArf‘ for posting this gem.